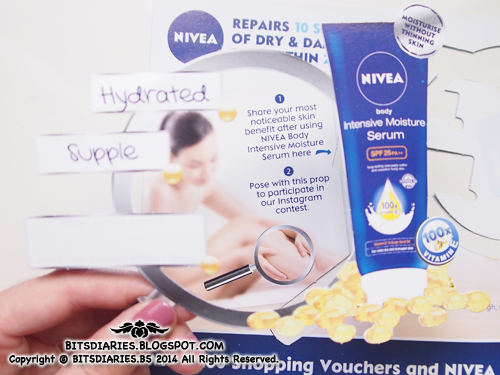 The cap of NIVEA Body Intensive Moisture Serum is well-wrapped with a plastic wrapper. The wrapper can be easily torn off at the tear line. 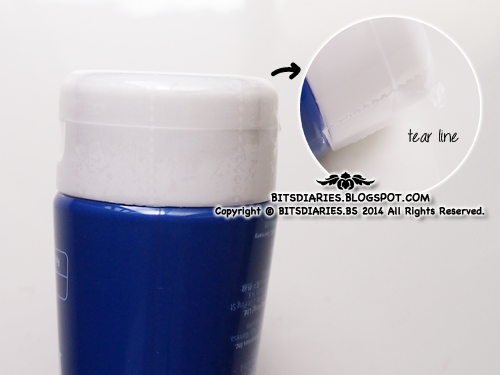 It comes in a cobalt blue, fuss-free squeezable tube with a white flip-on/snap-on cap. This is how the opening of the tube looks like. 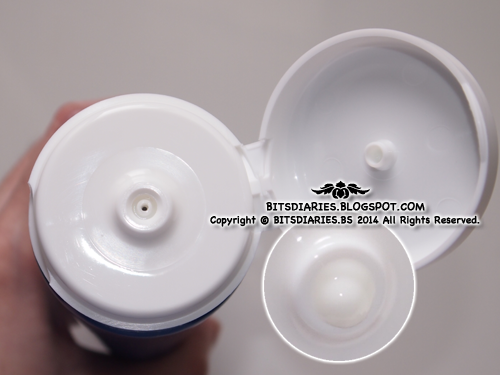 The serum can be easily squeezed out from the tube. Lightweight white liquid-y, serum-like texture. It may feel sticky at first but once it gets absorbed, it doesn't feel sticky at all; it does not leave a sticky or greasy residue once it gets absorbed. Squeeze and apply an adequate amount of the body serum onto desired area. After absorption, the skin immediately felt softer, smoother and more supple to the touch! Well, I don't know if you readers can spot the difference BEFORE and AFTER application... If you take a good look and compare the BEFORE and AFTER, you would notice that right AFTER application, the arm gave a dewy hydrated glow and it just looked brighter and healthier. The differences were really visible! Verdict: I have to say that I love this gentle body serum moisturizer! Currently, it's one of my holy grail daily products. WHY? Firstly, it's a dual function body moisturizer — a moisture serum and a sunscreen (SPF25 PA++) — hence, nowadays I only have to apply one product instead of two, which saves the hassle and time. 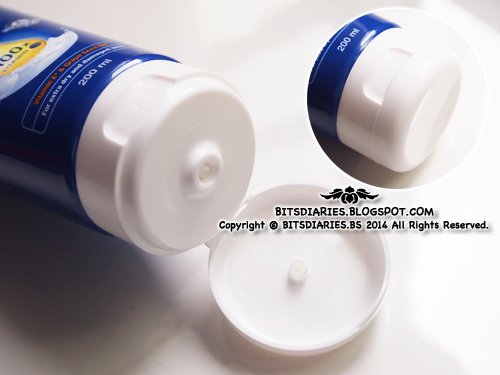 Secondly, as it contains SPF 25 PA ++, it helps to shield my skin from the sun damages. At the same time, it helps to repair and provide moisture to my dry skin, instantly makes my skin look brighter, healthier, more hydrated and feel softer and smoother to the touch! I can feel the differences right after application! How awesome is that!? Thirdly, it's not thick and heavy thus, it gets absorbed into the skin quickly without leaving a tacky or greasy feel. Perfect to use in hot and humid weather. So, these are the reasons why I absolutely adore it so much and I recommend you to try it too! 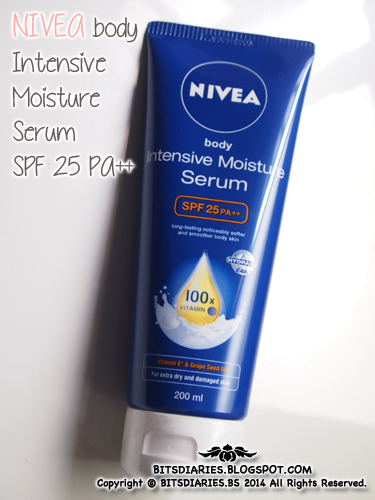 Where to get (for people who reside in Singapore): The NIVEA Body Intensive Moisture Serum is sold in all leading personal care stores and supermarkets, including Watsons, Guardian, Cold Storage, NTUC Fairprice outlets and major retailers. Alternatively, you can TRY before you buy! Simply register a Sample Store account via https://www.samplestore.com/r/89441 and redeem their FREE sample of NIVEA Body Intensive Moisture Serum on SampleStore.com (https://www.samplestore.com/product/details/2895/0/name-nivea-body-intensive-moisture-serum-spf25). It's FREE = No additional costs required! On the other hand, there is an Instagram Contest going on from 25th August to 30th September 2014... 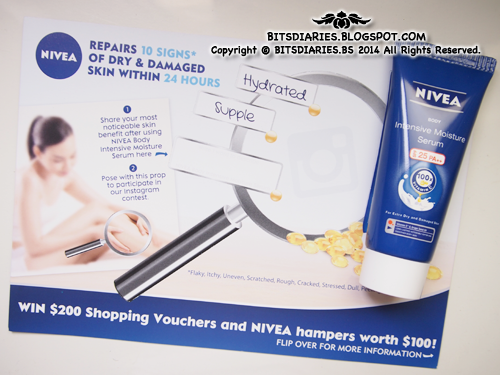 There will be *TWO Grand Prize winners — each win shopping vouchers worth $200 and NIVEA hampers worth $100. In order to participate in the Instagram contest, you will need the A5 brochure with the magnifying glass cut-out, as shown below, which you only get it when you redeem the mentioned product sample from Sample Store. No worries, the redemption of the sample is totally FREE! The event "play rules" are very simple. 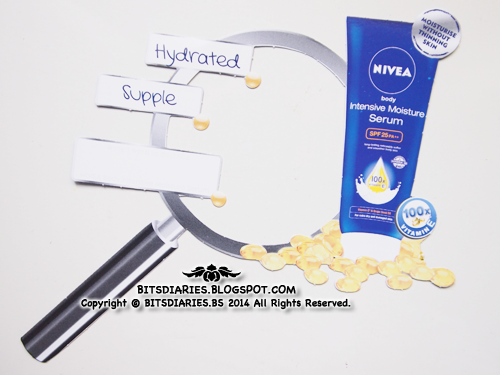 All you have to do is to write 1 word to describe NIVEA Body Intensive Moisture Serum in the given blank box on the magnifying glass cut-out and using it as a prop, take a creative picture on the most noticeable skin benefit after using the product with a creative caption and then upload it to Instagram with the following hashtags, #NIVEAsg #IntensiveMoistureSerum. Note: Winners to be announced on 1st October 2014. *The winners will be hand-picked by Sample Store editors, Holly Jean and Trixy respectively based on the submission that is most creative in their opinion (text and/or photo creativity). That's it! Isn't it simple? So what are you waiting for? Hurry! — Redeem, Try, Participate and WIN!